This new hair straightening tool on the market caught my attention a few days ago. At first glance, it looks like a regular brush with a fancy shape and attractive color. However, on closer inspection, you notice it also has a chord and is actually an electrical device. 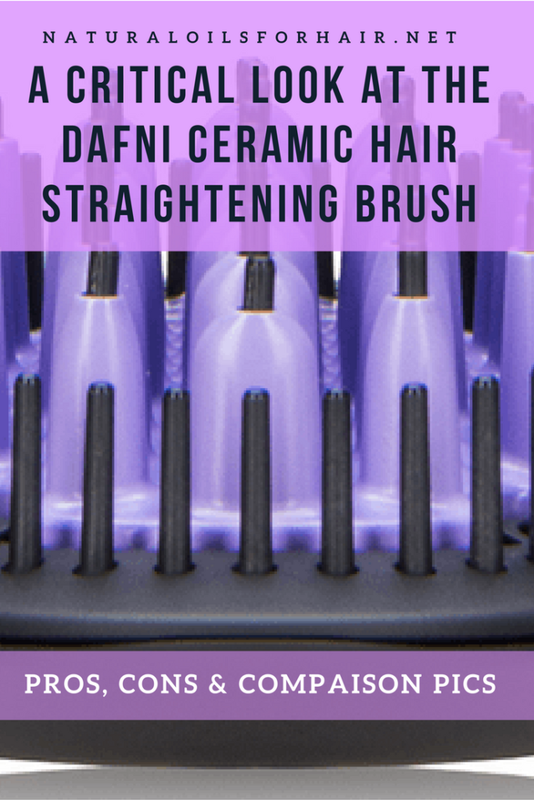 I went about researching for more information about it and found out it’s known as the Dafni Ceramic Hair Straightening Brush. An engineer and his daughter, who is also an engineer, invented the Dafni Ceramic Hair Straightening Brush in 2015. The brush operates by working it through small batches of hair with the result being smooth straight hair in minutes. According to the Dafni website, the Dafni brush is designed with top quality ceramic materials and protective structure. It’s designed to be worked through the hair like a regular brush. It heats up to a maximum temperature of 185 degrees (365 Fahrenheit) in less than a minute. The website also claims the brush can straighten the hair 10 times faster than conventional straightening tools. So far, so good. The Dafni ceramic hair straightening brush saves time. The brush doesn’t get hot enough to damage hair. It’s a handy size so suitable for slipping in the bag while travelling. There’s no danger of scalding your scalp like you can with a flat-iron (or maybe that’s just me every time I try to flat-iron my hair for a length check). 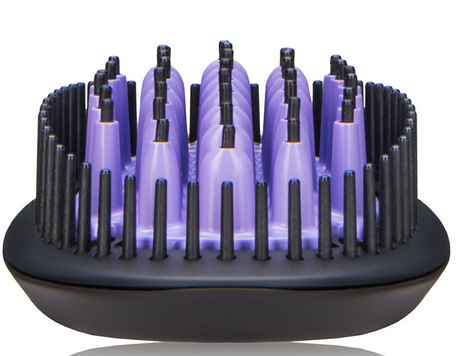 The Dafni ceramic hair straightening brush has an automatic shut off button in case you forget to turn it off. The brush is available in 110V and 220V power supply. The hair should be clean and have minimal products in it. Hair should be almost dry and thoroughly detangled. The patience of Job will be required especially if you have thicker and longer hair. In the Facebook video I watched, it looks more like a blowout rather than a smooth and silky straightening. 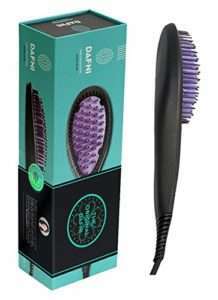 You can read tons more reviews about the Dafni ceramic hair straightening brush online HERE. Below is a side by side comparison of a light blow out I did at home before I installed my last braids and the results from a Facebook video I watched. They look similar. I believe in order to achieve a flat-iron effect on type 4 hair; hair would have to be brushed in very small sections repeatedly. This should be used off and on a few times a year. Frequent use on type 3 – type 4 hair may lead to split ends and dryer hair in the long-term. However, this is all conjecture at this point without having tested the brush yet. I’m currently on a waitlist for it at Dermstore where it retails for the pricey sum of $300. It was also retailing earlier on eBay for the insane price of $780 and someone has since purchased it. You definitely can’t get in the way of a PJ and her hair products. The insane price tag. I’m not sure it’s worth that much just to achieve a blow out effect on hair. 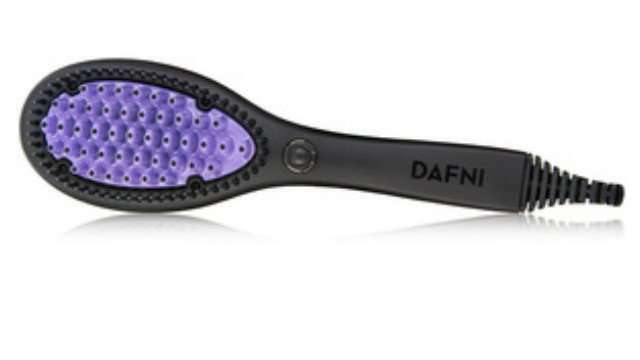 The Dafni Ceramic Hair Straightening Brush is now available on Amazon at the more reasonable price of around $50. Grab yours HERE. The brush is available in three pretty colours – purple, blue and green, and comes with a handy storage box. Also, check out Do Hair Straightening Brushes Really Work? 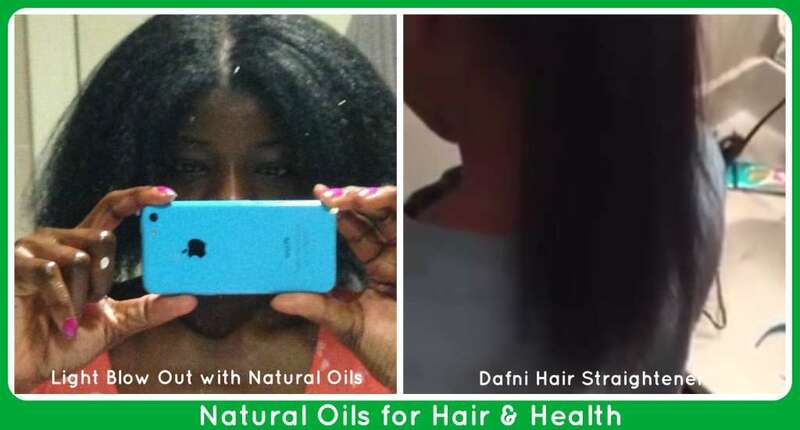 for more on using hair straightening brushes. Share in the comments section if you’ve tried Dafni Ceramic Hair Straightening Brush? Did you love it or hate it?